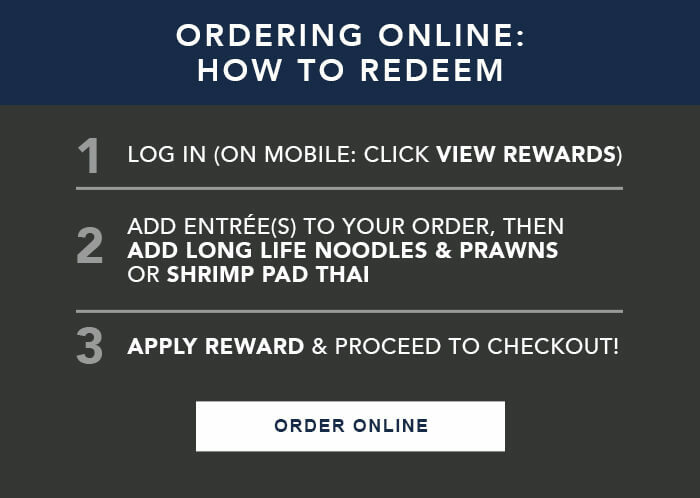 *Complimentary Long Life Noodles & Prawns or Shrimp Pad Thai with purchase of any entrée. Qualifying entrees exclude items from the lunch menu or salads. Valid for dine-in or online orders, every Friday 3/15/19 – 4/19/19 only, at participating P.F. Chang's restaurants excluding Hawaii, Puerto Rico, airport locations, and international locations. Single-use offer. Limit one offer per table or per online order. Cannot be combined with any other reward or offer. Charges for add-ons not included. 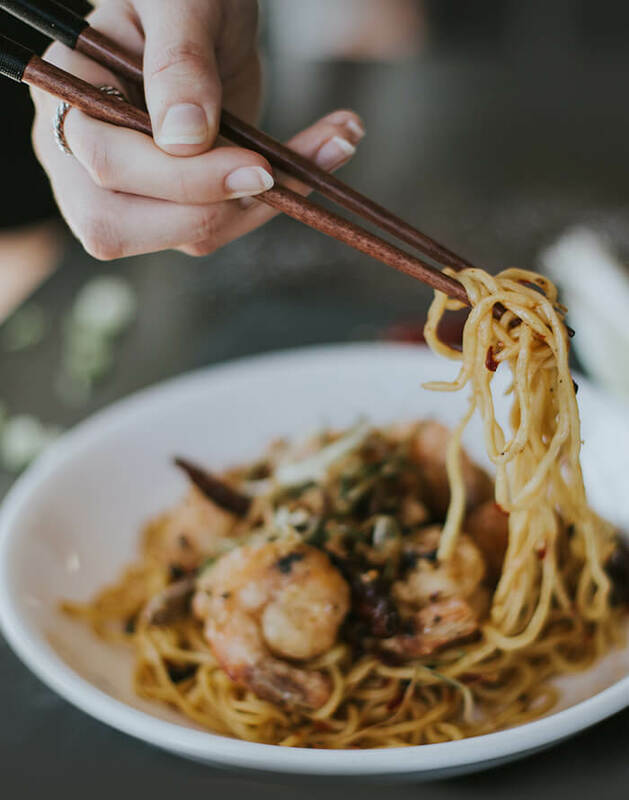 Does not include items on the Chang's for Two or catering menus. Not valid for third-party delivery services. No substitutions and no cash value. Void where prohibited.